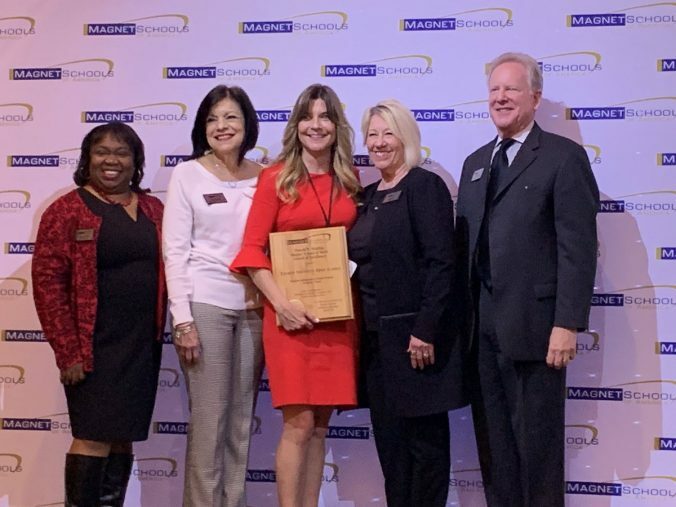 On behalf of the school, Principal Lori Lambropoulos received the National Magnet School of Excellence Merit Award during a ceremony held at Magnet Schools of America’s 37th National Conference in Baltimore, Maryland on April 13. 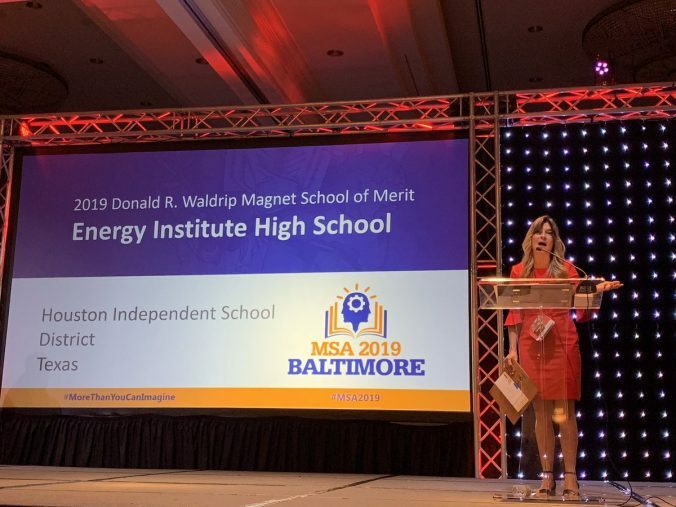 Energy IHS was awarded the 2019 Donald R. Waldrip Magnet School of Merit Award, which celebrates innovative curriculum and a commitment to diversity and high academic standards. With its School of Excellence designation, Energy Institute is now eligible to win $5,000 and the Dr. Ronald P. Simpson Distinguished Merit Award, which is considered the most prestigious magnet school award in the nation. To receive a national merit award, members of Magnet Schools of America must submit a detailed application that is scored by a panel of educators. Schools are judged and scored on their demonstrated ability to raise student academic achievement, promote racial and socioeconomic diversity, provide integrated curricula and instruction, and create strong family and community partnerships that enhance the school’s magnet theme.